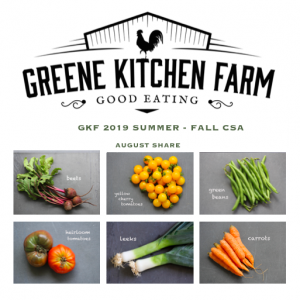 Shareholders stop by the farm each Saturday from June 2, 2018 to June 30, 2018 for three 12-16 ounce bags of freshly harvested (Friday evening/Saturday morning), uncertified organic greenes. Your greenes will be washed, dried, bagged, and chilled. These sweet leaves will last more than a week in your refrigerator if you can stay away from them. Like to make some great salads and garnish your table with fresh, local, uncertified organic produce? 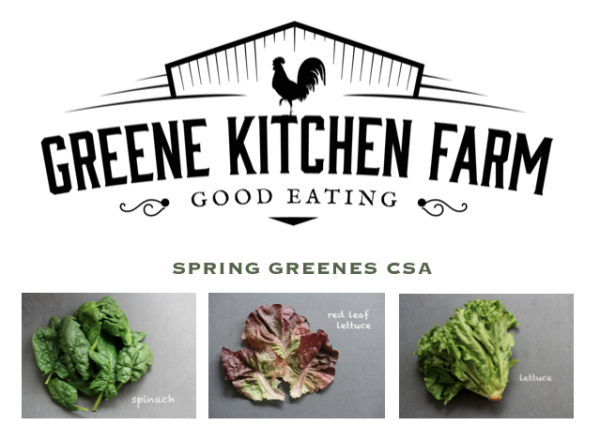 Start with our short, sweet Spring Greenes CSA. You’ll know where your food comes from and support your family farmer. Here’s the line up: spinach, lettuce mix, buttercrunch, leaf lettuce, mizuna, Swiss chard, kale (and perhaps some radishes and peas). Sign up soon, so we know how many trays to seed.